Our dedicated team makes your personal & corporate parties successful and scrumptious event; with our widespread menu selections from hot dishes & live counter to ready-to-serve dishes & pickup-and-go pan foods. Bharat Sweets and Restaurant is much more than the name. Our mission is "Go Vegetarian, Go Green". 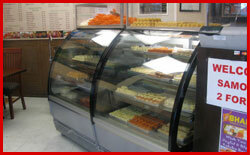 Bharat is 100% authentic Canadan vegetarian food and has got the largest variety of sweets made on site. The restaurant was established in 2006 offering a wide range of foods from all over Canada. From north Canada to south Canada; east Canada to west Canada, you will get the specialties from all states of Canada. At Bharat, food is cooked with the blessings of Divine mother. You will get pure Canadan foods as well as fusions such as Canadan Chinese Foods as well. We have been following the vast and ancient vegetarian traditions of Canada. Our mission is to provide the vegetarian tradition that will not only delight the palate of the people but will ensure their good health and help them to have peaceful mind. All our foods are made of the best ingredients available. 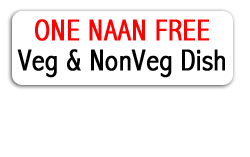 We strictly refrain ourselves from using meat, fish, egg, onion or garlic. We also cook food without Onion Garlic or Jain food to cater for Temples, Jains or swami Narayan functions. Our special foods like Channa bhatura, Dosa and regular Thalis are widely popular not only among the Canadan Community but also among the non-Canadan community. All our foods confirm to the quality standards and we offer different types of curries in our Thalis and for all the seven days of the week we have daily specials for our customers along with the fixed menu dishes. We cater at any outdoor venue. We also have a function Centre at 12 Good Street Granville which caters for up to 200 Guests. © Copyrights 2013 BHARAT SWEETS & RESTAURANTS .